There was a lot of press around the little device called the ‘Square’ being used with the iPhone when it first came out. 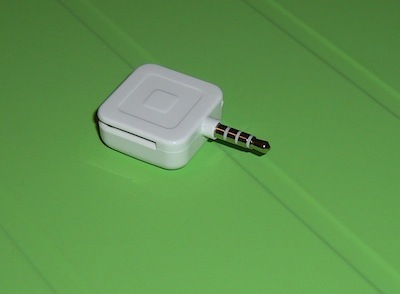 A small start up that allowed anyone to start accepting credit card payments via a small square device that plugged into the iPhone’s headphone plug. The good news is that it works equally well, if not actually better with the iPad. 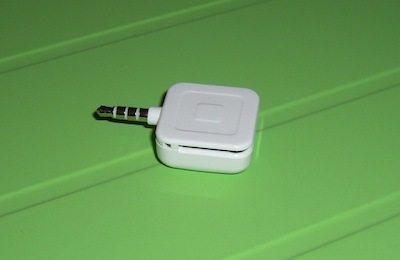 With this small device and software, you are able to accept Credit Card payments via your iPad. There is a 2.75% fee on each transaction but no other charges. 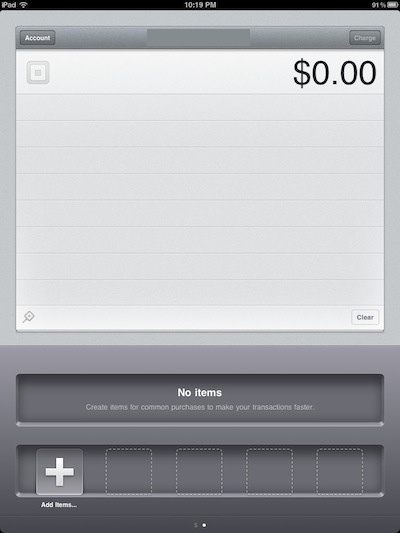 The money is electronic deposited directly to to your bank account. The small device is free from SquareUp. When you sign up and answer a few questions to make sure you are who you say you are… interesting questions that really makes you question how much people have put together about you. After the questions, a ‘Square’ is mailed to you. We use this app at events and shows to accept walk-up attendees as well for product sales. To cut down on entering information on what the sale is, we use the ‘items’ area to set up the event and the individual items with all of their particulars directly into the iPad Square app. We use the ‘color label’ to mark up events vs products to find quicker when a customer is waiting. To make a transaction happen, you must have Internet access so make sure before your event or show that you iPad can be connected. 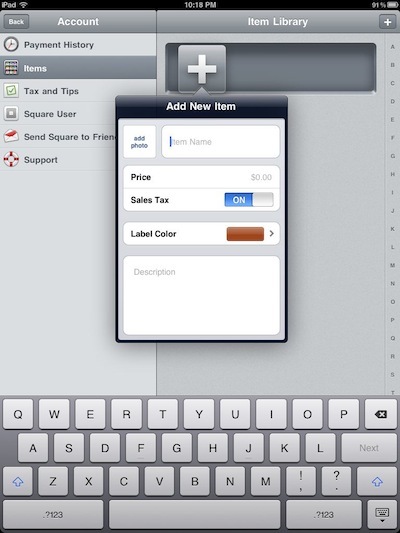 By swiping across the page of the initial Square sales screen, you are taken to the page that has a list of products you are selling. Choosing one adds it to the person’s cart making the sale very quick. On the lower part of the screen is an area of products you set up before the event and then below that is the ability to quickly add another item, cutting down on the time of going through the ‘settings’ area. 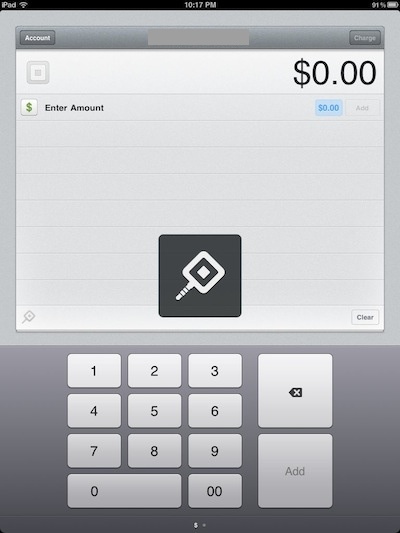 There isn’t much to say than Square with the iPad just works. When we used our iPhones, people thought it was neat. Generally they would then pull out their iPhones and want to PayPal bump us to make the sale. All that ‘neatness’ took more time. On the iPad, people take it much more serious. It looks and acts more like a Point of Sale device people are used to seeing in a store so they aren’t hesitant about allowing us to swipe their card and sign up for our services.